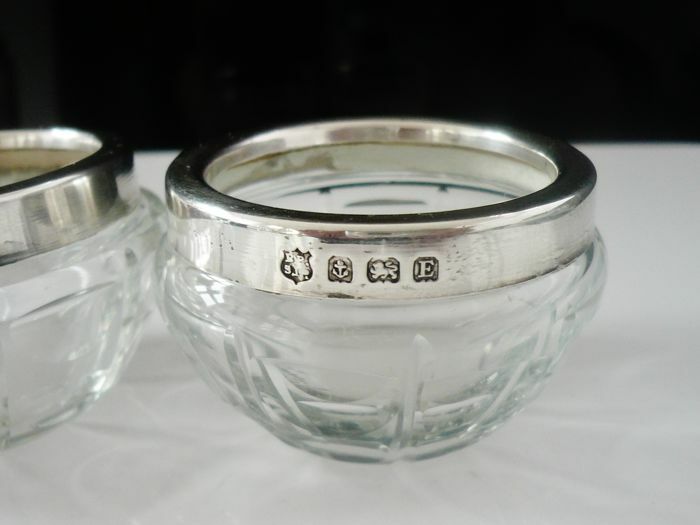 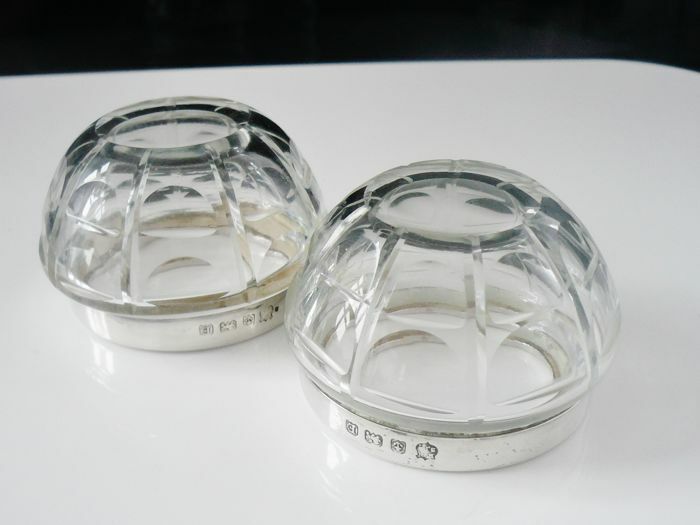 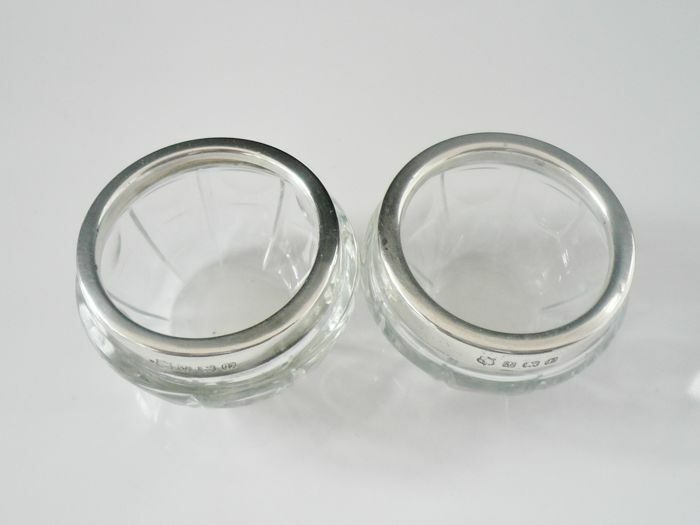 A pair of very attractive cut glass salt cellars with sterling silver rims. 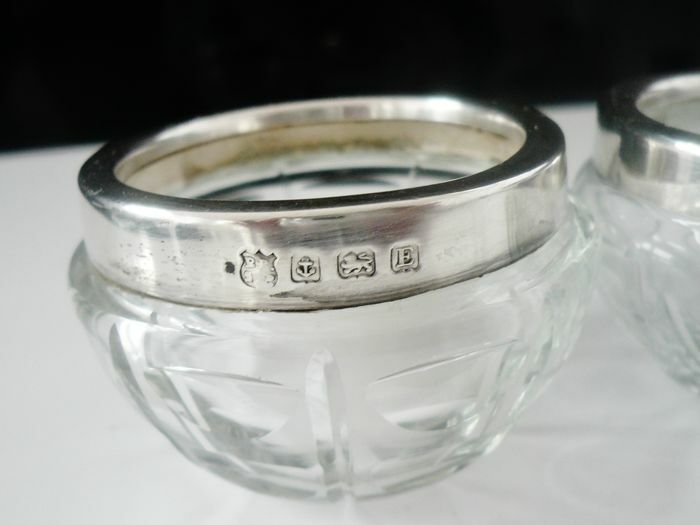 Silver is hallmarked from Birmingham in 1929 with the makers mark being that of Barker Brothers Silver Ltd. 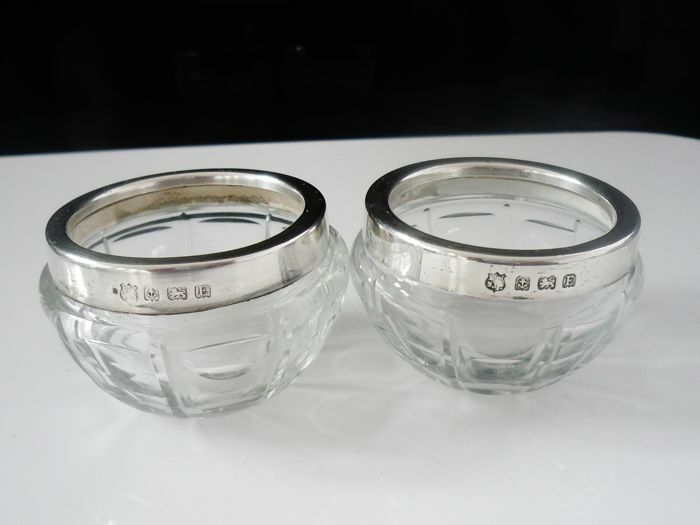 In very good clean order, measuring 44mm in diamter and 30mm in height.